With every passing year we are very happy to welcome more pupils (and staff!) from all around the world, provided that English is either their first language or a strong second language. 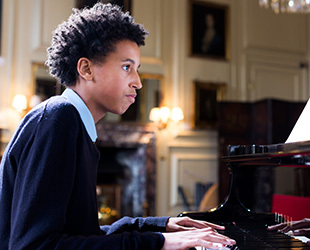 In a part of the country with limited ethnic diversity it is valuable to all our pupils to be exposed to a wide mix of cultures and it can greatly enrich their education. There is however no opportunity for ethnic blocs to develop so we do not suffer any of the adverse effects seen in some schools. We are of course registered with the UK Visa and Immigration Agency for overseas students. Some of our pupils from overseas are foreign nationals, some are from expat families, and some in the Armed Services. At present we have pupils and staff from a wide range of countries throughout the world. Our location is greatly appreciated by parents and pupils from abroad. 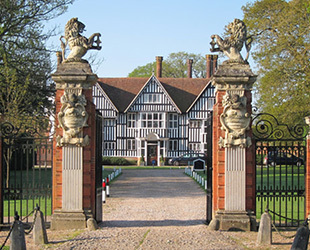 The historic Jacobean country house around which the school has developed is set in ancient parkland and beautiful gardens that for many typify rural England at its finest. Despite the rural setting, we are within reach of London, Canterbury and Brighton for school and boarding trips, while the coast is just a few minutes away offering a wide range of activities. Gatwick Airport is about 75 minutes by taxi, and Ashford International railway station, with high speed trains to the Continent, is just 20 miles away. We are happy to help overseas parents with their transport arrangements. We understand that especially in their first few days and weeks with us, young pupils can feel quite homesick so we provide extra support for them through this difficult period. Skype is readily available in the evenings, although time differences can sometimes mean this can only be used at weekends. Actually we often find that quite quickly the children settle in, and it is the mums and dads who can take longer to get used to being apart! We encourage pupils to celebrate the varying national cultures, whether this is through trying different foods, or recognising festivals or national days. Students whose parents live overseas must have an adult guardian who lives in the UK and will agree to be responsible for the pupil on behalf of their parents. Very often this will be a relative or friend of the family, or alternatively there are agencies that will provide professional guardians. It is essential that a guardian is appointed before any pupil joins us and that we have full contact details. Parents can decide whether their children stay with guardians or travel home at half terms and exeat weekends, although as strong friendships develop they may sometimes stay with friends, with parents’ permission. Guardians are expected to keep in contact during term time, attending school functions, liaising with the school on pastoral matters, and maintaining regular contact with parents. For legal reasons we are not able to recommend specific agencies but we would strongly recommend that parents utilise the services of one of the guardianship bodies such as AEGIS (www.aegisuk.net), or one of the established UK boarding directories.